Artesia Public Schools Assistant Superintendent of Operations Thad Phipps reported to the APS Board of Education Monday that paving will begin on the north side of the new administration building next week, with south side paving to follow. Phipps further reported the new building is due for completion June 30, with a move-in date of July 5 and a tentative dedication date of July 10. In other business, the board recognized Artesia High School junior Ali Mauritsen for her accomplishment of scoring a perfect 36 on the ACT exam as well as having received the Ovation Award during the choir’s attendance at the national competition in Dallas, Texas, recently. Assistant Superintendent of Personnel and Student Services John Ross Null and Assistant Superintendent of Instruction and Federal Programs Danny Parker gave an update to the board on the changes to the NMTEACH (teacher evaluation) system from the Public Education Department. Null asked the board to allow Cody Hanagan to apply for the annual IDEA-B grant for the operation of the Special Education Department. The board approved the application. 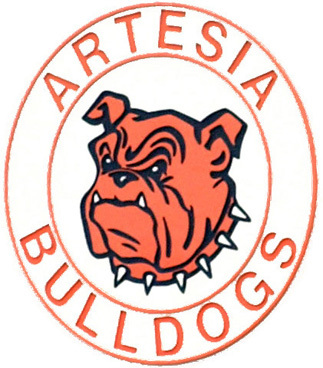 Principal of Artesia High School Eric Greer, along with assistant principal Mark McAlister, presented the proposed 2017-18 graduation requirements and course description book for AHS, which was also approved by the board. Janet Grice, business manager, along with Dr. Crit Caton, superintendent, updated the board on the fiscal solvency issues facing the state and how they could potentially affect the APS. As a result of a finance meeting held recently, Grice and Caton were able to present the board with approximately $300,000-$450,00 in cuts to the APS budget in order to maintain a comfortable balance in the budget for the coming few years. “The board and administrators at APS are committed to not cutting jobs or enacting furloughs in order to maintain the budget,” board secretary Carolyn Shearman said, thanking Grice and Caton for their hard work and sincerity on accomplishing the task. • and replace the frame and doors on the west end of the AHS science wing in the amount of $20,532.31. All of these projects will be paid for out of HB33 monies. Caton also announced the retirements of Paul Choat, athletic trainer, AHS, and Carolyn Chumbley, piano accompanist and choral instruction assistant, AHS and Park Junior High; the resignations of Alexis Altricter, second-grade teacher, Yucca, Jaime J. Dominguez, custodian, Yeso, Mackenzie Gentry, special education assistant, DD preschool program, Toni Poskey, physical education teacher, Zia, and Jami Ragsdale, DECA teacher and coach, AHS. Null then requested the board waive the nepotism rule in order for Caton to hire Koby Caton as an athletic trainer for AHS. Koby Caton was recommended for hire by athletic director Cooper Henderson and is the son of Dr. Crit Caton. Caton will graduate with a master’s from Texas Tech University this spring. The board agreed to waive the nepotism rule, giving Caton the authority to hire Koby to the district. Lowell Irby, board president, led a discussion on approving Caton’s contract for superintendent at his current salary for another year. Irby reported Caton had requested his salary not be raised due to the budget issues. The board approved the contract for another year and commended Caton on the work he does for the district. The next regularly scheduled school board meeting will be held at 7 p.m. Monday, May 8.